Kukkolan Bussit provides charter bus transportation services using a fleet of seven minibuses for 8, 10 and 16 passengers, and coaches for 46 – 53 passengers. Bus transportation in Finland, Norway, Sweden and Russia. 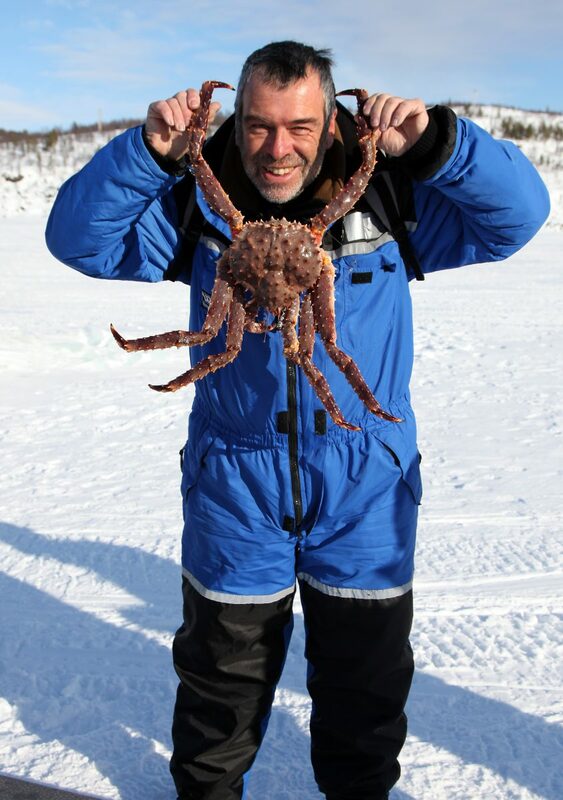 Day trips for the Arctic Ocean from Saariselkä, Ivalo and Inari to the town of Kirkenes with the theme of King Crab Safari. on the frozen fjords of Kirkenes. This is your change to catch, learn how to cook, and most importantly EAT this mysterious creature. The Arctic King Crab is one of the most sort after meals in top restaurants, and yet here, you get to eat the best and the freshest, pulled from the fjord in front of your eyes. You all take part in helping to saw the hole in the ice and bring up the catch. (an experience in itself) to a beautiful farmhouse by the lake. and not by divers or in a boat. Thermal overalls, socks, boots and balaclava headwear for the safari included. Sautéed reindeer soup, bread, butter, dessert and coffee at the Sanila Reindeer farm in Sevettijärvi. If the weather is good in the evening, we can make a stop few minutes for watching Aurora borealis on the route Kirkenes-Saariselkä. Payment in the bus cash or with card.